I wanted my title to say it all, because it's the total truth. Your mom nurtured you and gave you life. She will only be a number 1. I wanted to reflect my relationship with my mom, as it's got me thinking of what a good mom entails after becoming one myself. When I was younger I always remember being close to my mom, her name was the only I called when I had fallen over and the one who used to soothe me if I had a bad dream. I'm not sure when our relationship totally changed. I just stopped calling her name and the bad dreams stopped. As I teen I wasn't close to my mom at all, I think it's just the teenage thing, where I suppose your parents don't know what to do anymore do they hug you, do you still want to go on family trips. I know as a teen i wanted to be on my own a lot and i hated the whole family trips out. Thinking about it I personally don't think I was an awful teenager but it's definitely where me and my moms relationship changed. When my parents split when I was 16, it hit me so hard that I blamed my mom and hated her for ages for it, we had been rocky for a while but this just topped it over. I moved out and back a few times, and my mom was always wiling to have me back, took me back in and always has been there for me. I didn't realize what being a mum meant, till I became one myself and the unconditional love that is there from the moment you see you're baby. My mom was there for me during my first birth, she made sure I drank, wiped my head and most importantly told me how proud she was of me. From that moment and seeing her first grandchild being born we changed. We had grown closer and I don't think there is a day that goes by when I don't think what I would do without my mom. She is my rock, she is the one i call when i'm upset or ill.She knows when i,m down, and will help me pick myself up. 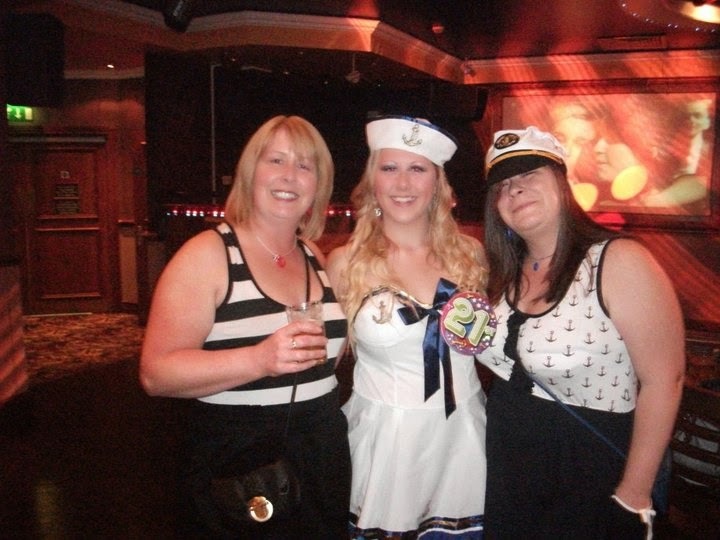 My Mum is one in a million! Truprint have a lovely campaign Mum in a Million, where Truprint would like to make a million mums smile by giving away 1 million personalized Mother's Day cards. My readers can use the code MUMINAMILLION at checkout to claim their card. 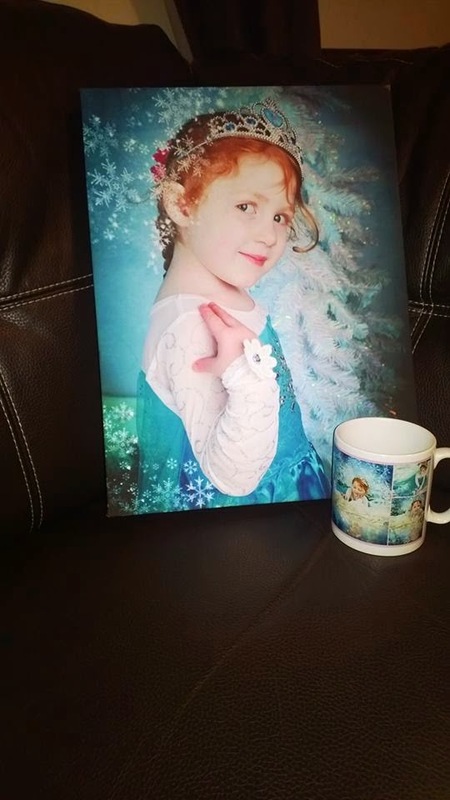 They also have a lovely selection of beautiful personalized gifts, like this stunning canvas and photo mug. Which I'm hoping will make my mom smile this Mothers Day, as she adores these pictures of Lexie. Prices start from £2.99.